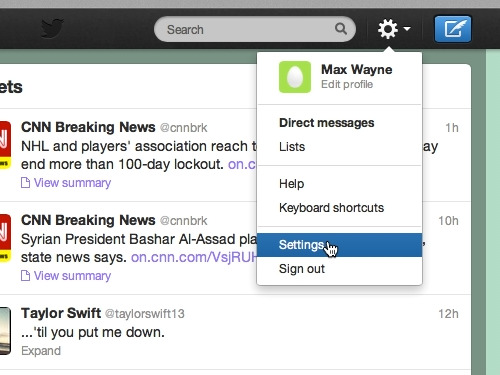 In this video tutorial we will show you how to edit Twitter profile. 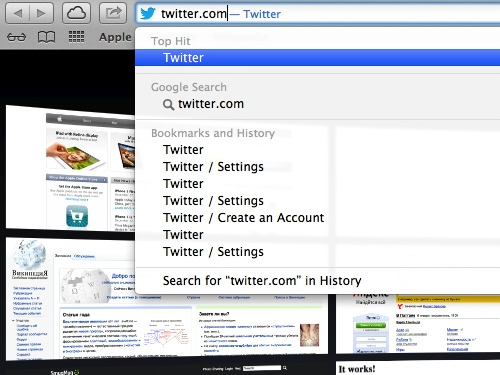 In order to update Twitter profile, open a browser and go to “twitter.com”. Click on the “Preferences” icon and choose “Settings”. 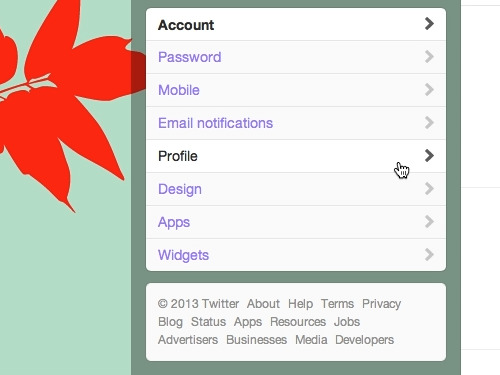 On the next page, go to the menu on the left and choose “Profile”. 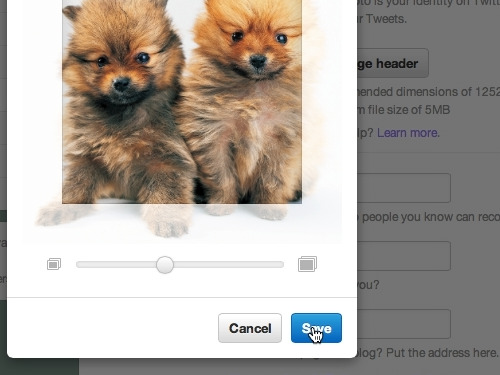 Click the “Change photo” button and “Choose existing photo”. In the appeared window select a picture on your computer and press “Choose”. You can zoom in on a photo with a slider. Press “Save”. As you can see, your profile photo has been successfully updated. 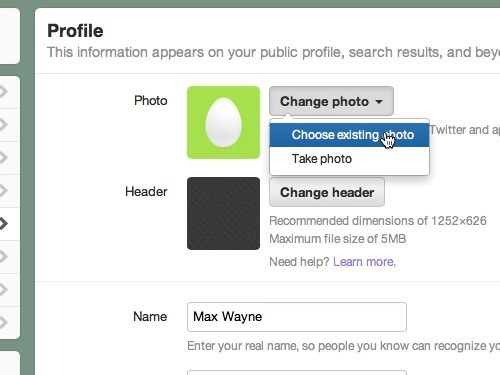 You can change the header of your profile, your location, homepage and other data. 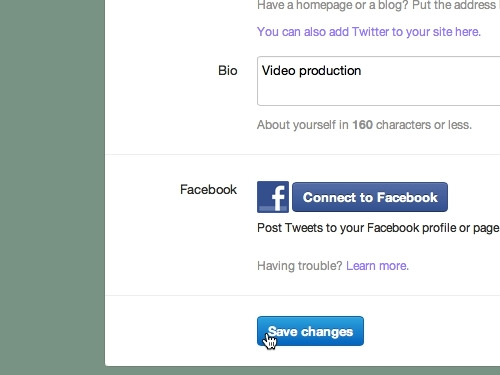 Also you can link your account to Facebook. Your Twitter profile has been successfully updated.